"Hear Me Roar" Too adds another layer to creating your cards, mini albums and scrapbook layouts! These additional coordinated background papers give you even more creative options...and who doesn't like more choices?! 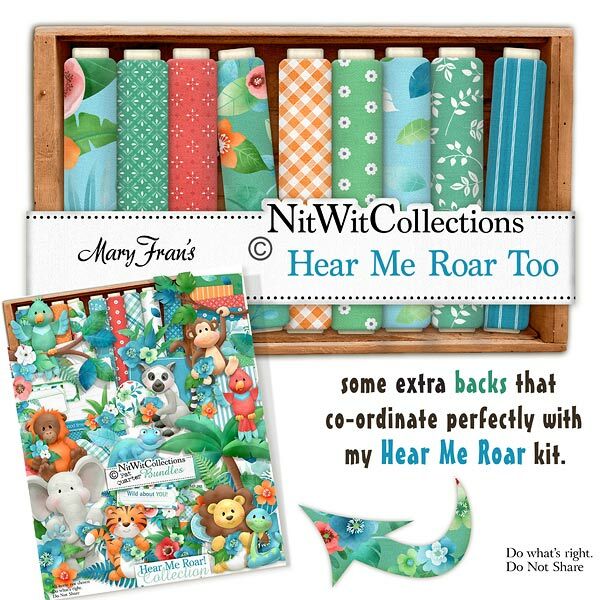 These background papers are NOT included in the FQB "Hear Me Roar" Collection! 13 Digital background papers that coordinate and colour match my FQB "Hear Me Roar" Collection.